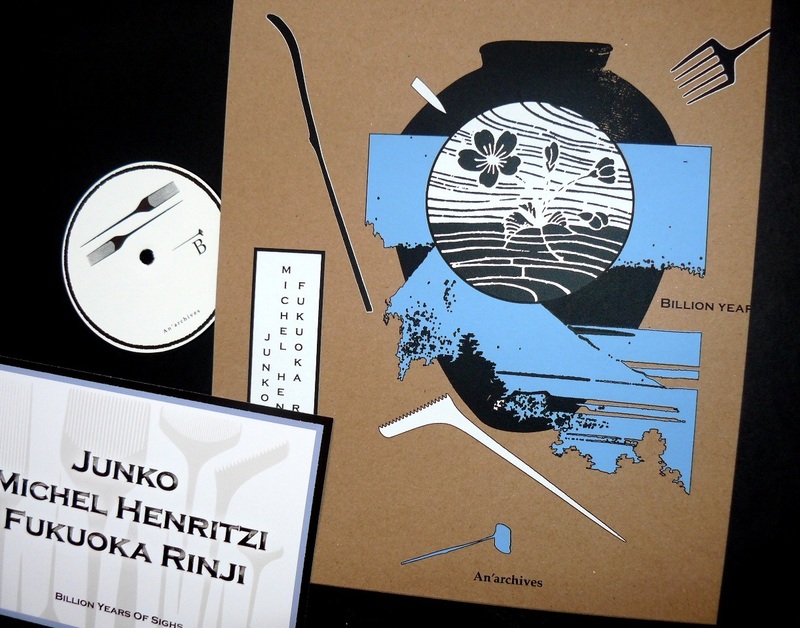 Side A is another love song between La Grande Dame Junko (one of Japan’s foremost improvising vocalists and a member of long-running free-noise unit Hijokaidan) & Michel Henritzi (french guitarist and member of Dustbreeders and Howlin’Ghost Proletarians ). This is blues for the day, from noise to abstract blues, the volcanic meeting between voice and lapsteel. 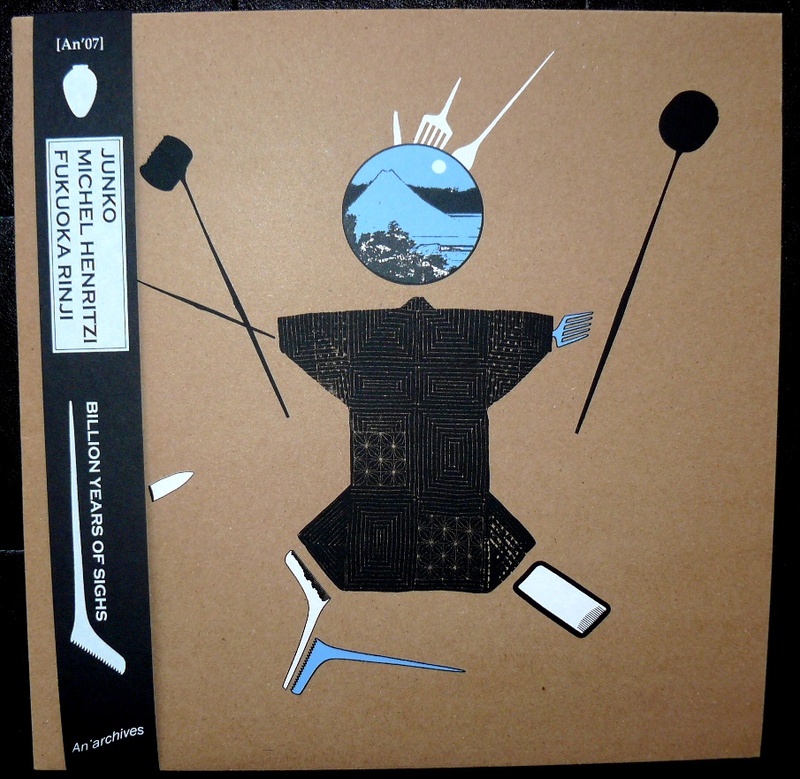 Side B is blues for the night with Michel Henritzi and Fukuoka Rinji (Majutsu no Niwa – Overhang Party) , another sad story between guitar & violin recorded after Fukushima ‘s trauma. Ashes, asphyxiated air, cloudy and melancholic.